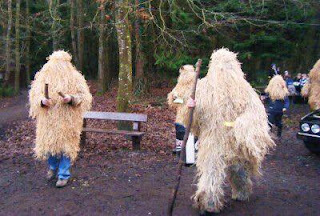 But for Ireland, and some other countries, it’s St. Stephen’s Day or Wran Day, Wren’s Day, with seemingly sinister customs that are muddled and not clear. The simple story is that wrens are, well were, killed as revenge for twittering to reveal St. Stephen hiding in the bush, who was killed and became a martyr for spreading the Christian gospels. If Christ was alive, I do not think he would be happy with a religion named after him where members killed wrens. I resist saying pagan. Its vague. There is the Aesops Fable of the wren winning the highest bird award from flying on Eagle’s back then flying higher, then also winning the lowest bird award for going down a mousehole that big birds could not fit into ... and the big birds waited for wren to leave the mousehole so they could kill him, but wren had a trick to escape, and he did and survived. So Aesop told of how the little wren became the ‘king of the birds’, the small being overcoming the big bullies. 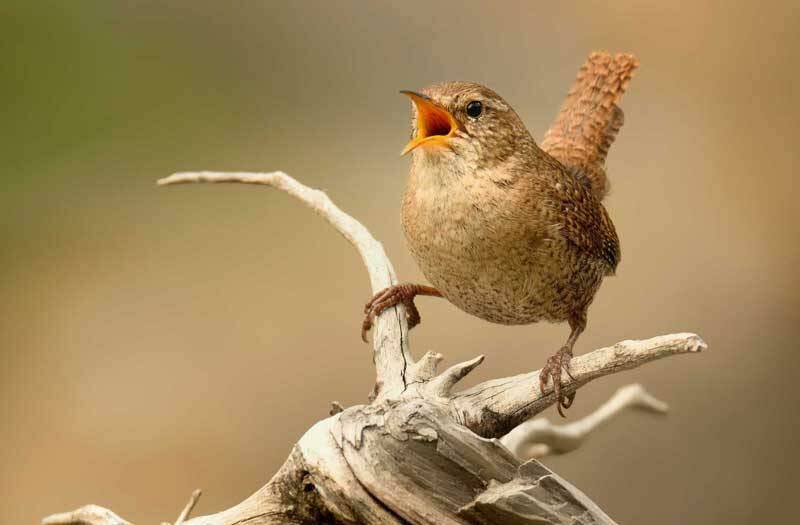 Wrens were symbols of sharing. Wren birds usually stay as couples but there are no gender roles. They both hunt the same way, make nests together, and feed and raise their young together. Chirpy birds with stunning birdsong that seem free spirited and happy. They can sing two notes at once. It could be that these birds were caught, put live into a coffin like box, then the young hunters going door to door convincing the dwellers that if they do not donate to them the wren would not be released and there would not be good weather, good farming and good yields ahead. This tradition seems to have become sinister to include burial of the live wren, and then the killing of the wren, with a promise that it resurrected into becoming alive again if people were generous in donations! And who is St. Stephen? The original Stephen, or whatever he was called in the Middle East, was accused of blasphemy through not recognising Moses as the pathway to God, but claiming Jesus was, so he was stoned to death. It is said a priest called Lucian had a dream about the location of Stephen’s bones, and it was accurate. It is told that when his bones were found they were transported to the church of Hagia Sion outside Jerusalem on 26th December 415 Julian Calendar time, that was moved to 26th December of the Gregorian time that we follow now. Before he was stoned to death, Stephen is said to have visited Jewish churches to hand out gifts to the poor, but would also tell them the tales of Jesus. This sentiment may be the inspiration origin of Boxing Day too? Through the land that is Ireland now, and west of Scotland, it seems Stephen became the adapted name of head masons at the building of churches. It seems churches then were not for ‘worship’ but were initially scriptorians for scribing copies of the gospels. They were also places of teaching scribing, reading and other education. They also seem to have served as comunual places to bring the poor into learning better yielding farming. 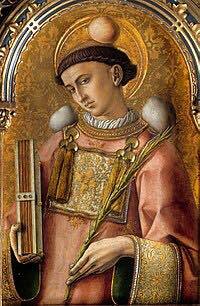 St. Stephen became the patron saint of Masons as a story was told that when he was stoned to death his spirit rose and walked away with stones on his head. This story tells of those stones being used as the foundation of creating a scriptorian church. 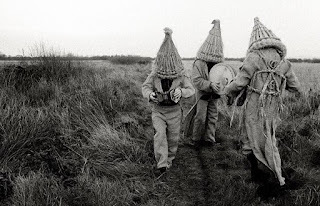 Wren or Wran boys were and are in disguise so that people would not recognise who they were. 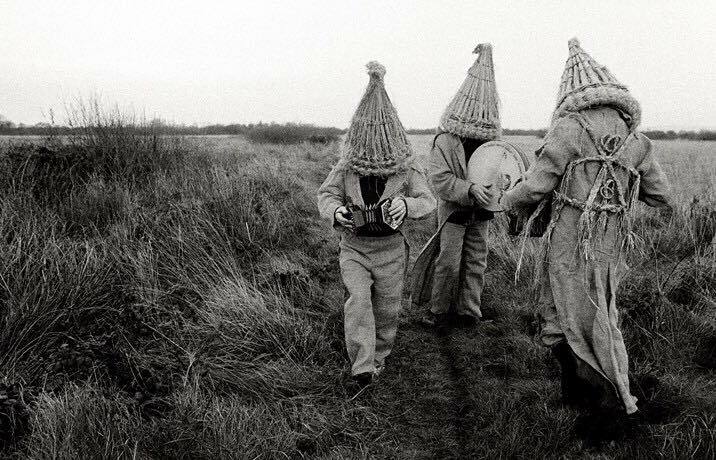 They have evolved from being ancient folklore bandits and con men to the mystery and fun lads we see performing tradition today.